— Ray & Sue Krueger-Koplin, Toucan Maps Inc. In 1970 Jack Ewing and his family left Colorado for Costa Rica where, over the years, he helped convert a former cattle ranch into Hacienda Barú National Wildlife Refuge, now a well-known ecotourism destination on the southwest coast of Costa Rica. Now, thanks in large part to Jack Ewing’s efforts with Hacienda Barú and the Path of the Tapir Biological Corridor, we may one day see jaguars and tapirs return to the area. 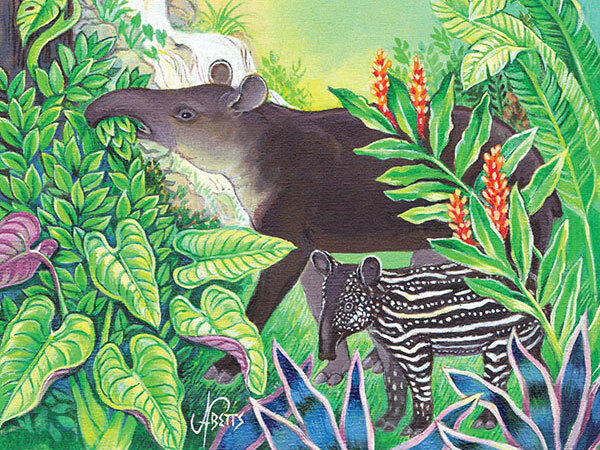 Ewing is currently president of two environmental organizations, ASANA (Association of Friends of Nature) and FUNDANTA (Foundation for the Path of the Tapir Biological Corridor). His books include the popular title, Monkeys Are Made of Chocolate, and Where Tapirs and Jaguars Once Roamed, released in 2015.